A jackpot is the biggest win possible for a single spin on a given slot machine. How do I win a jackpot? Hit five of the designated symbol or five Wilds on a single bet payline. Jackpots can be won from a combination of the designated symbol and Wilds. For information about a slot machine's jackpot, view the machine's payout guide. On slot machines that offer multiple types of jackpot, only the highest value jackpot hit is paid per spin. Where can I see a jackpot's current total? The current jackpot total is visible at the top of each slot machine. Do all slot machines feature a jackpot? No. While most slot machines do feature a jackpot, some machines do not. Slot machines that do offer a jackpot will include a jackpot counter at the top of the machine. Some slot machines offer several types of jackpot. Others may include multiple symbols that qualify toward the jackpot. 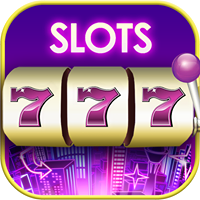 For information about each slot machine, please visit the slots guide.